LANSING, Mich. — A resolution was adopted on Tuesday commemorating the month of October as Dysautonomia Awareness Month. Senate Resolution 216, sponsored by Sen. Dale Zorn and approved by the Michigan Senate, seeks to increase the public’s understanding of the rare and debilitating condition. LANSING, Mich. — Sen. Dale Zorn has announced that he will conduct a district coffee hour in Monroe on Friday, Oct. 21. The coffee hour will be held from 9 to 10 a.m. at Agua Dulce Coffee & Tea, 17 W. 1st St. in Monroe. 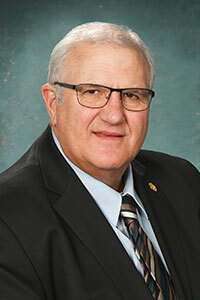 LANSING, Mich. — Sen. Dale Zorn has introduced legislation to protect public employees who speak with elected officials. Senate Bill 1086 would prohibit a public employer from discharging, threatening or otherwise discriminating against a public employee for communicating with an elected official. This would apply to the employee’s compensation, terms, conditions, location and privileges of employment. The state’s Whistleblowers’ Protection Act protects individuals who are reporting, or those about to report, a suspected violation of a law, rule or regulation. “I believe this is a matter of free speech and good government,” Zorn said. “While whistleblowers are protected, those protections are limited to those reporting wrongdoing. Public employees who work with elected officials to try to improve the effectiveness and efficiency of state or local government deserve the same protection from retaliation. 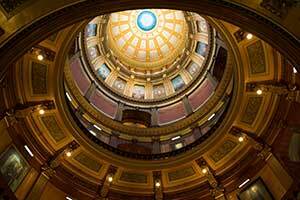 SB 1086 has been referred to the Senate Government Operations Committee for consideration.